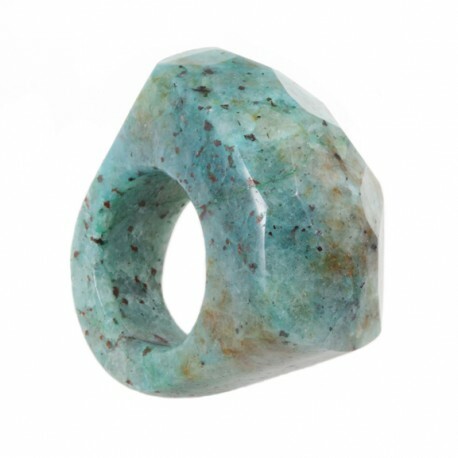 Solid Chrysocolla- Chalcedony ring. 22.5 mm wide at top. What a fun way to wear a ring!